The Team Management Wheel lies at the heart of the Margerison-McCann approach to maximising personal potential, building balanced, high performing teams and creating energy and resilience for success. It focuses on individual development as a critical first step to effective team development. 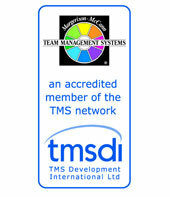 Twenty-five years of validated, ongoing research have created an integrated suite of Profiling tools known as Margerison-McCann Team Management Systems (TMS). We use their tools to enhance team building and communication skills. The Best Practice Club is a business benchmarking Club that exists to help members adapt to rapidly changing business environments and improve their organisational performance. It does this through the identification and implementation of best practice techniques using shared experience. By sharing methods, expertise and practices in a professional benchmarking environment, managers determine very quickly whether they are on the right track, adapt ideas, identify stumbling blocks and learn from others’ experiences. London Excellence is a not-for-profit organisation. It provides support and recognition for organisations that have a common focus towards excellence. They run a variety of networks, workshops and tours throughout the year helping people to learn from each other’s good practice. Their awards framework not only provides recognition for high performing organisations, it also provides a framework for developing your leaders and managers. We feel that the Excellence Model remains a fundamental tool to running a quality organisation. The WOW! Awards is a truly unique way of raising customer service standards, improving employee engagement and bringing better results to the bottom line. It’s a great way of engaging customers, employees and managers. It’s all about catching people doing things right! The WOW! Awards is so much more than just an award ceremony. It’s a process that runs right through the year helping to engage customers, motivate employees, inform management, improve service, reduce costs and increase customer retention. Jane has been a judge of these awards for the last three years and loves everything they stand for. Reactive 360 helps me bring you fantastic 360 appraisal systems to your business. Jane works with you to develop the strands you’d like to measure and then uses this tool to bring your questionnaires to life. If you contact any of these companies directly, please let them know that you were inspired to contact them because you’d read about them here!